Inspired by our neighborhood porches and the sense of community they help create, the Front Porch Society recognizes everyone who makes annual gifts to the University for three or more consecutive years. Gifts can be in any amount and can be designated to any area of the University. 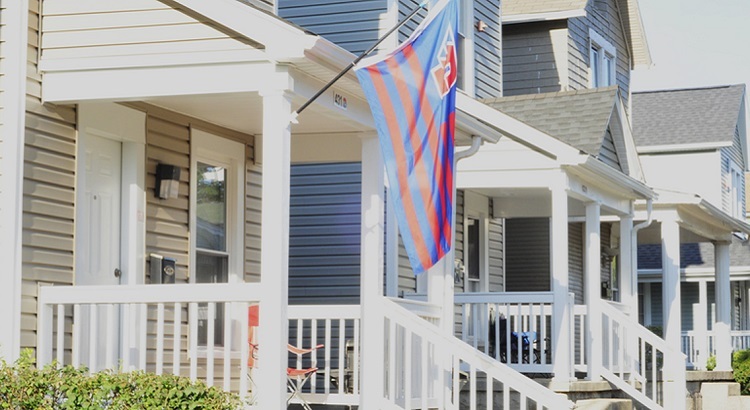 Front Porch Society members are the most loyal UD donors. Your generosity changes lives by supporting the students, faculty and programs that make UD a top-tier Catholic research university — and a close-knit community guided by faith and intellectual curiosity. The entire University community is grateful for your continuous decision to give back to UD. Your gift every year makes a difference every day. Thank you. Please see the Honor Roll below for a list of current members.